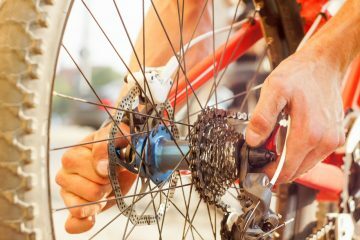 Do you hate taking your bicycle to the bike shop every time something’s wrong with it? 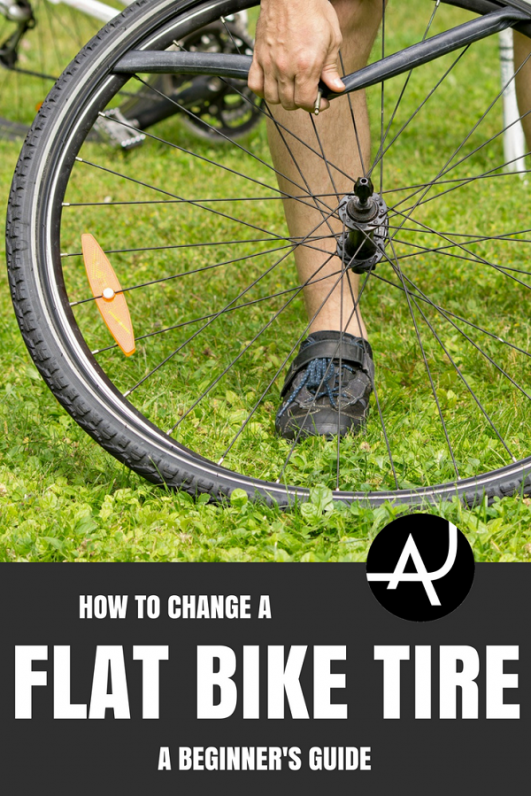 Have you always wanted to learn how to change a flat bike tire? Then you’ve arrived at the right place. Here at The Adventure Junkies, we offer different kinds of tips and tricks for all things outdoors. 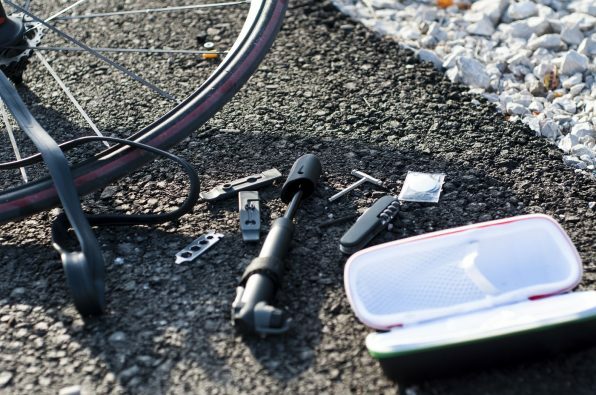 Let us teach you how to change a flat bike tire. By the end of this article, you will realize that it’s really not that difficult. With practice, you can easily get the job done within minutes. No need to worry anymore about getting a flat bike tire on the way to work or on the trails. Getting a flat tire can be really annoying. No one wants to get stuck with this problem while riding their bike on the trail. With that said, changing a flat tire doesn’t need to be a challenge. 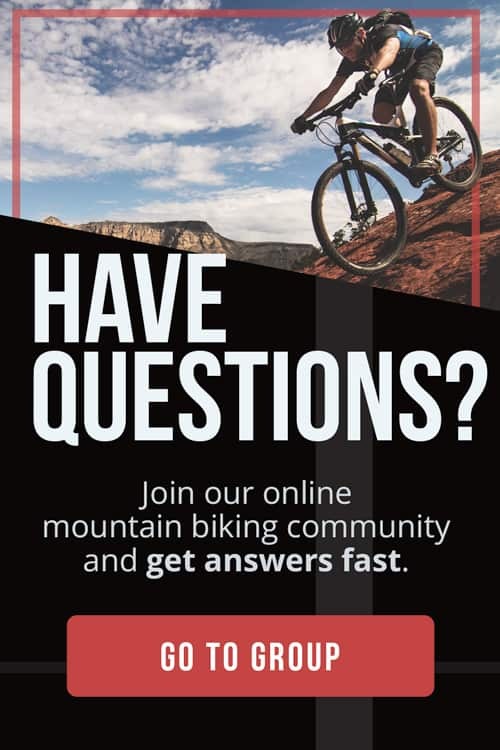 Any serious cyclist or mountain biker should know how to change a flat tire in the same way that it should be basic knowledge how to set the mountain bike seat height. Follow the steps below to get back on the road in no time. 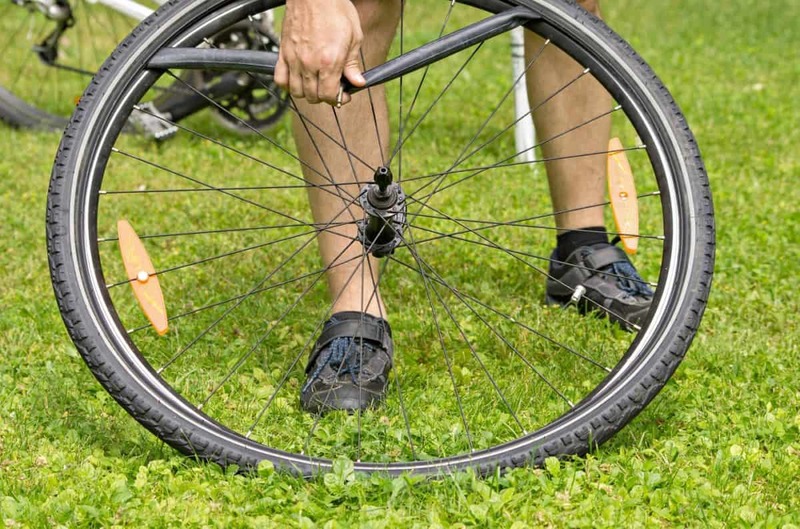 If your bike has brakes that prevent you from removing the wheel, release them first. While every brake setup and location is different, as noted by REI.com, most of them have a quick-release system that makes it easy to (dis)connect them. Most likely, you’ll be able to slip the cable out of one of the sockets. 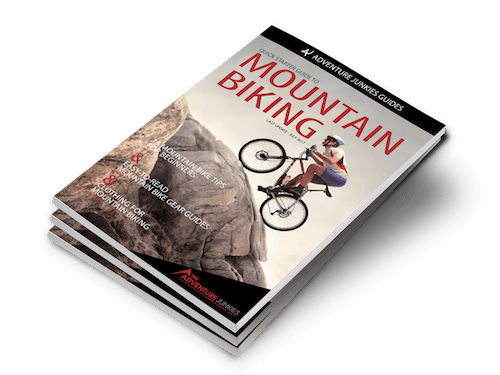 If your bike has disc brakes—read more about those in this article about the parts of a mountain bike— take care not to touch the rotor. This part can become so hot that it can easily burn your fingers. Once your brakes are released, continue by removing the wheel. The wheel will still be attached to the fork or frame depending on whether it’s the front or rear wheel, respectively. Almost all bikes are equipped with quick-release levers to remove the wheels. If yours doesn’t have these, then simply unscrew some nuts and bolts. Removing the front wheel is a piece of cake. It’s the rear wheel, which has the rear gear set, that’s a bit more difficult. Before you remove your rear wheel, make sure the chain is on the smallest rear chain wheel. Put your bike upside down and turn the quick-release. Lift your rear wheel out while gently pulling your rear derailleur to give yourself some more room. The wheel should now get out without too much trouble and without getting stuck in the chain. Remove the valve cap from the valve. Pushing onto the tiny plunger in the middle of the valve can release all the remaining air from your flat tire. If you have a Presta valve, you have to unscrew the top part of the valve first before you can deflate the tire. Also, some valves have a lock ring screwed onto their stem to keep them in place. You will need to remove this to get your tube out. Removing your tire from the wheel’s rim requires a bit of practice. Once you’ve figured it out, though, it’s super easy. First, try to release the tire by hand. Do this by pushing one edge of the bead to the center of the wheel’s rim while simultaneously pushing up the other edge. If you’re lucky and strong enough, the bead edge will pop out. If that doesn’t work, you can use tire levers to help you. Make sure to start at the opposite section of the tire from the valve when you use these tools. You don’t want to damage the valve if you plan to repair the tube later on. With the levers, you can pry your tire’s bead up. If one lever doesn’t do the trick, then you can just use more. Bicycling.com tells us to hook the other end of the first lever to a spoke so it stays in place. Repeat the process until a section of the bead edge is entirely off. Now, you should be able to use your fingers to unseat the rest of the bead. Once the tire is off, remove the tube as well. First, push the valve stem through the rim. The tube should come off easily by now. 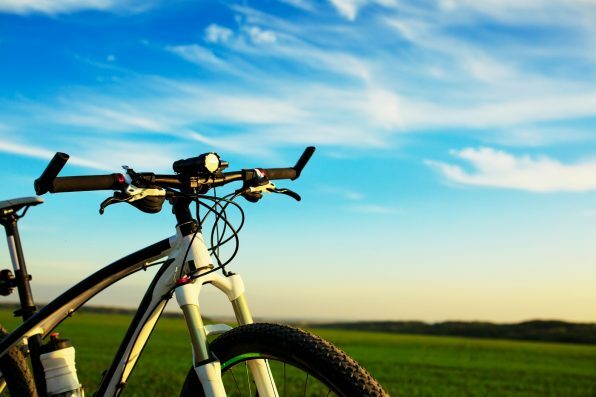 If you’re on a bike trip, you should always make sure to have a few spare tires with you. This way, you’ll be able to simply put a new tire on and continue your ride. You can then fix the flat tire later at home. Replacing the tube is the easiest step in this process. It’s nothing more than getting a brand new tube and putting it on. Make sure, though, to check that the tube is the right size for your wheel. Fill the new tube with a little bit of air, just enough to give it shape. Put the valve through the hole in the rim, ensuring that the valve stem is perfectly straight. Then, place the tube around the wheel. Once your tube is in place, it’s time to put the tire back on. If you didn’t remove the tire completely when removing the flat tube, then you can simply place the tube in the tire. If you did remove it, you can attach it again by pushing one edge of the bead in the rim. This should be pretty easy. Continue by pushing the other edge of the bead in the rim using the palms of your hands. Start at the opposite section from the valve and work your way toward it using both hands and in both directions. This step begins easy but gets harder as you make your way toward the valve. You can use a tire lever again to push the last remaining section of the tire’s bead into the rim. During this entire step, take care not to pinch the tube. Now that the tube and tire are back on your wheel, you can inflate the tube. Screw on the lock ring again, if you have one. Slowly pump air into the tube. While doing so, regularly check that the tire stays in place and the valve stem remains straight. Also, check again that the tube isn’t getting pinched. You can now put the wheel back on your bike. This should be pretty straightforward. If you just replaced the rear tube, make sure to put the chain back on the smallest rear chain wheel. Lock the quick-release again or, if applicable, screw on the previously removed nuts and bolts.